Why should you refer to us? The Implant & Ceramic Dental Studios is the first practice in the country to be voted Best Implant Clinic, Best New Practice and Best Laboratory for Dentist Trust and Patient Care. 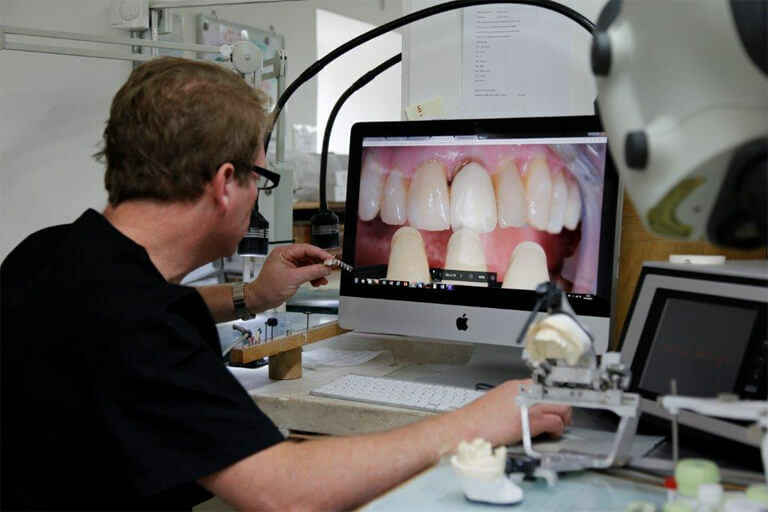 Since we opened for business in 1997, many patients have been referred to us for specialist treatments by their current dentists all over the UK. We communicate and work in partnership with you as their general dentist practitioner to ensure that both the patient and you are kept up-to-date with their progress. Our team consists of experts across multiple disciplines, including periodontics, endodontics, prosthodontics and full mouth rehabilitation, sedation and in particular complex cases with an emphasis on occlusion and general muscle and skeletal harmony, nervous patients and help with TMD and bruxism. We follow general dental protocol to provide comprehensive legal procedures, providing patient choice and transparency to protect both you and the patient. If you are looking to refer a patient, please complete the form at the bottom of this page. Building a relationship and rapport with our patients is paramount. You are invited to visit The Studios or we can arrange a visit or Skype call to strengthen our knowledge of one another.